the geordie times online (newcastle united archive fanzine): RAFA NOT HAPPY! *** PLAYERS IN DISPUTE! RAFA NOT HAPPY! *** PLAYERS IN DISPUTE! "THERE MAY BE TROUBLE AHEED!" Rafa made theeze worryin' statements after wor 4-0 hammerin' at Braga last neet! "Things are not going well on and off the pitch! Fans are concerned--they have to be--we are concerned! We are not doing things well, on and off the pitch! This should be A WAKE UP CALL for everyone! Am I optimistic?, thinking that we can do in 10 days (when the transor window closes), that we can do in 2 months?, I DONT THINK SO! I have NO IDEA if we are close to new signings!" And aall this just 10 days before the season starts! Wor take on it IZ!---Rafa's patience will finally run oot when the transfor deadline arrives and he could well 'walk the walk', if nothin iz done on the transfor front! WHERE IN TOON? **** ANSWER! THE FOLLY OF THE WALLY WITH THE BROLLY! POSSIBLE NEW GROOND FOR THE NUFC GROUNDHOPPERS! TOON U23s v SMBs U23s **** TOONEET @ SJP! IT'S THE FRIAR TUCK MOB!----AGAIN! "I HAVE A DREAM!----AND A NIGHTMARE!" JOYOUS NEWS FOR AALL TOON FANS! ON THIS DAY FORTY YEARS AGO! 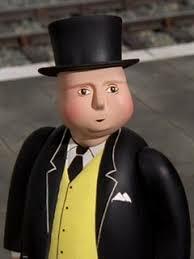 RAFA'S STARK WARNIN' TO 'THE FAT CONTROLLER'! 2 MORE TELLY GAMES ANNOONCED! NON ATTENDERS IN WAR OF WORDS! BRAGA V THE TOON **** TOONEET!